To determine the cross section of the electric wire, use basic geometric formulas. Most commonly the calculation is made using the formula of area of a circle. Its application requires knowledge of such characteristics of the wire, such as diameter. micrometer, caliper or ruler, calculator. The method of calculating the cross section of electric wire depends on the construction of this wire. To calculate the cross sections used formulas area of a circle or rectangle. The calculation is performed in the following sequence. Clean the wire of insulation to a length of about 10 mm. To determine the cross section of the conductor is round, measure its diameter using a micrometer or caliper. If the micrometer is not turned, the diameter of the wire can be approximated using a simple ruler. To use this method, clear the wire from the insulation to the length from half a meter to one meter. Wrap 10 turns of wire on the ruler. The winding should be dense, turn to turn. Determine the length of the winding on the ruler scale and divide by ten. The resulting value is the desired diameter of wire. To improve the precision of measurement of diameter, increase the number of winding turns. The diameter of the wireexpressed in millimeters, erected in the square. The resulting value multiply by PI and then divide by four. The result of all actions will be section of the wirein square millimeters. The value of PI to obtain a satisfactory precision is enough to take = 3.14. The number of mathematical operations can be reduced, if the advance to make the division of PI by four. In this case, the diameter squared, multiplied by 0,785. A bit more complicated calculated cross section stranded wire. To find it, count the number of individual wires. Select the vein and measure its diameter. Calculate the cross-section of this core. The required cross-section stranded wire find by multiplying the number of cores in the cross section of one core. If you are using wire of rectangular cross section, determine its width and height using one of the above-mentioned measuring instruments. The obtained value should have a dimension – millimeters. Multiply length by width. The result of the multiplication is the value of the cross section of rectangular wire. Note: determination of the geometric characteristics of the wire produced in the absence of this exclusion. Ignoring this rule may result in the overloading of electrical circuits or incorrect parameters of its operation. When you purchase the wire size you can find on the marking. The first number following the letter designation of the type of wire shows its cross section. 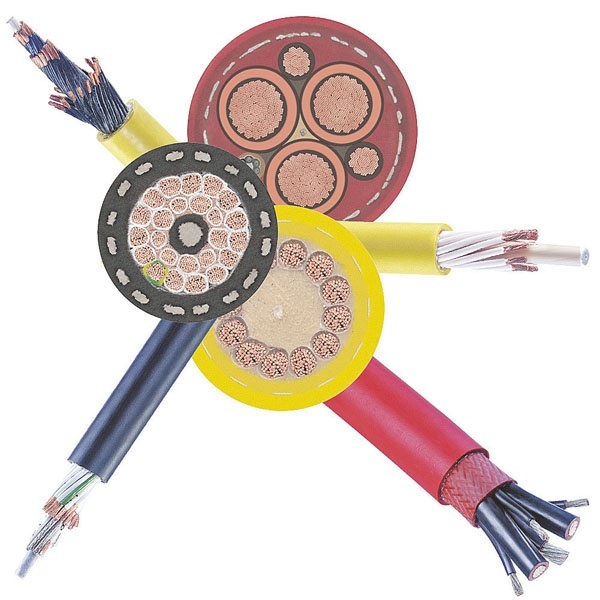 As a rule, any cable consists of several cores which in cross section present you round. It is from the area of the cross section proportional to the conductivity of the cable. If it is too small, the cable may burn out, and this is one of the main causes of fires in the modern world. - table of specific resistances of substances. Take the cable, the section which you want to define. Most often it consists of 2-4 lived that are isolated from each other special material. These cores have the same diameter. Sometimes you can find the cable alone which is thinner than the rest – it is meant for grounding. Clean off the insulation of the cable core. With the help of Vernier caliper and micrometer better (this will allow for more accurate measurement), find the diameter of the core. Get the value in millimeters. Then calculate the cross-sectional area. To do this, a coefficient of 0.25 and multiply by the number π≈3.14, and the value of the diameter d squared S=0,25∙π∙d2. This value multiply by the number of strands of the cable. Knowing the wire length, its cross section and the material from which it is made, and calculate the resistance. For example, if you need to find a cross-section of copper cable of 4 lived, and the measurement of the diameter gave a value of 2 mm, find the area of its cross section. To do this, calculate the cross-sectional area of one core. It will be equal to S=0.25∙3,14∙22=3,14 mm2. Then determine the total cross section of the cable for this section one core to multiply their number in our example is 3,14∙4=12,56 mm2. You can now determine the maximum current that can be it leaking, or resistance if known length. Maximum current for copper cable, calculate the ratio of 8 to 1 mm2. Then the limit value of current which can pass through the cable, taken in the example is 8∙12,56=100,5 A. Note that for aluminum cable, the ratio is 5 to 1 mm2. For example, the cable length is 200 m. in order to find its resistance, multiply resistivity of copper ρ in Ohm∙ mm2/m, the cable length l and divide by the area of its cross section S (R=ρ∙l/S). Making the substitution, we get R=0,0175∙200/12,56≈0,279 Ohms, which will lead to very small losses of electricity during its transmission through such a cable. Reference books on electrical engineering there is a table with a cross sectionof the mi cables for use in different conditions. 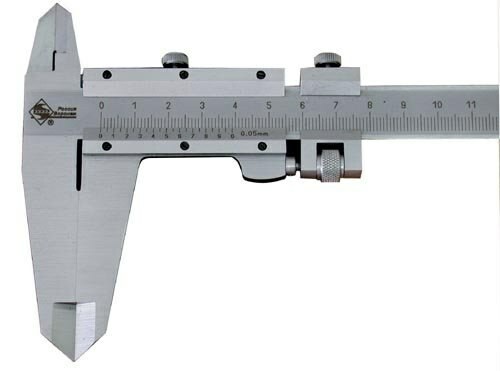 A caliper can also measure the cross section and diameter. Knowing any of these values can be calculated according to the formula and another. Measurement of diameterand wire caliper to exercise in the absence of stress. Any caliper, regardless of whether it is mechanical or electronic, metallic sponge capable of conducting current. If the wire is covered with insulation layer, the dimension of its cross section to exercise without regard to its diameter. 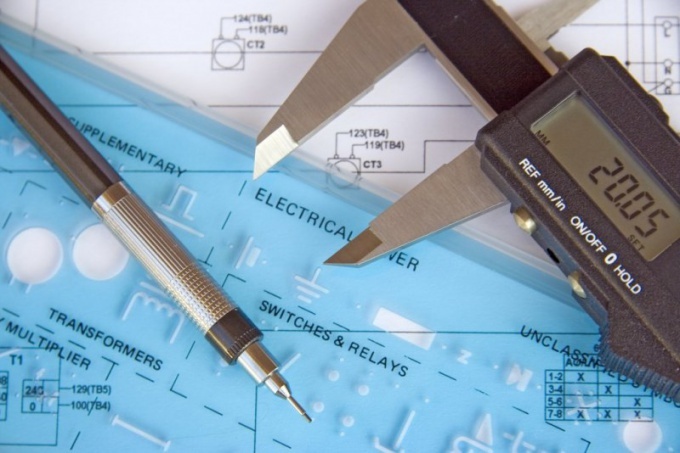 Use to Express the diameterand cross-sectional area of conductors the unit of measurement adopted in electrical engineering respectively, millimeters and square millimeters (abbreviated as electricians call them "squares"). To put is specified in the reference section of the wire in its diameter, use the following formula:D=2√(S/π), where S - area of conductor (mm2) D - diameter of conductor (mm), π is the number "PI", 3,1415926535 (dimensionless value). For a reverse translation (diameterand section), use the same formula transformed as follows:S=π(D/2)2, where D - diameter of conductor (mm), S - area of conductor (mm2), π is the number "PI", 3,1415926535 (dimensionless value). The cross section of stranded wire , take is equal to the sum of the cross sections of its constituent individual conductors. To summarize their diameters pointless. Calculations can be multistage. So, for example, to determine the equivalent diameter of the stranded wire, calculate the cross-section of one of the cores, multiply by their number, and the result is then again put in the diameter. Take the wire with the diameter ofω or cross-section than the design or specified in the table value, it is possible, but too thick of wire to use is embarrassing: they can, for example, pull out the terminal from the terminal block's own weight. Use the wire with diameterom or a cross section less than the calculated or specified in the table. Hollow conductors of cylindrical form (for example included in the coaxial cables) have two diametera: external and internal. Them calculate, respectively, two sections: external and internal. Subtract one from the other, and then the result is translated into an equivalent diameter.